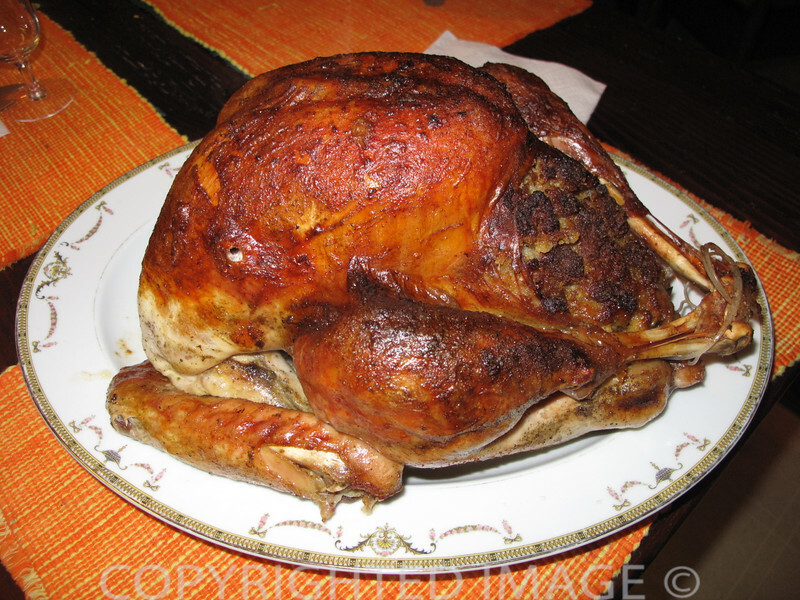 Fresh Versus Frozen Turkey – When it comes to the turkey, what is your preference for the Thanksgiving holiday table? I update this post every year. There were plenty of turkeys at Wegmans® today… in every imaginable size and in every price range – turkey breasts and whole birds – both fresh and frozen. It was easy to make the fresh versus frozen turkey decision. Fresh Turkey Or A Frozen Bird? Fresh turkeys from Wegmans at Potomac Town Center take center stage on our Thanksgiving or Christmas table. Explore the different types of fresh turkeys available at your local supermarket. Yes, it’s three cheers for fresh turkeys! We are making it official – from now on we’re buying fresh instead of frozen poultry for holiday meals. But which kind of fresh turkey? This year again, instead the of traditional Butterball frozen turkey, we are opting for Wegmans® “Green Label” fresh young turkey, which was indeed fresh and according to the label, without the additions of brine, solutions (a scary word when applied to food) and au naturel. Note the wrapping on the Grand Champion premium holiday turkey. It was our 2014 turkey. It’s a “unique breed” with more white meat. Update: Never frozen (Wegmans® emphasizes the fresh), in 2018 the Grand Champion costs $2.49 a pound. Bottom line? Regardless of your traditional cooking method – an open roasting pan or the old-fashioned covered roaster – the turkey was outstanding in taste (even the wings were plump and juicy), tender, perfectly sized for our needs and a great value. In fact, we were so involved in praising the quality of the turkey meat during dinner that we finished the meal, pushed away from the table and only then realized that we never opened the can of cranberry sauce! Plenty of leftovers created 2 sandwich lunches, a full turkey dinner with cranberry sauce and of course, soup. Wondering about fresh versus frozen turkey for the holidays? While selecting the turkey just before the Thanksgiving holiday, fresh versus frozen peeked my curiosity. What was different enough between the types of turkey available at Wegmans® in Potomac Town Center to warrant such a quantum leap in price? Fresh organic grand champion turkey. At slightly over 10 pounds, my mini turkey pictured at the top of the post cost just a little more than $15 but weighing in at the same 10 pounds, his premium first cousin would have cost twice as much as the grand champion. The Grand Champion which does not weigh in at anything less than 16 pounds, would have have cost $4.99 per pound. Do you really want turkey? Would two plump roasters camouflaged as birds of another feather go unnoticed? Do they come with medals pinned to those plumper breasts? Were they the best behaved while roaming free on the range? Technically it means the bird has access to the great outdoors but according to USDA regulations, we have no clue as to where they roam or the duration of those “free range” activities. What are the rules for a turkey to qualify as free range and how do we interpret the labels? Is it that important to have more white meat? Maybe. Around our table, we’d need several turkeys just to grant everyone their “I would like the drumstick” wish. We prefer dark meat so if a bird could have extra drumsticks and thighs that would perfectly fine. Does it matter if fresh turkeys are organic or free range? Well according to the USDA, be they free to range or roam, consumers need to know where these birds lived and under what conditions. Turkeys have to have access to the great outdoors for at least 51% of their short life span or through what is referred to as their “growing cycle”. If kept indoors during cold weather, you can’t call them free range and if, for some reason, you send those poor birds out into the cold, be prepared to state how they then qualify as free range birds. How do fresh turkeys get “more white meat”? The “broad breasted” white turkey is the most popular bird for the commercial market. These large birds are bred to produce the most breast meat of any turkey breed. Are we sacrificing taste in order to have a large turkey on the table at Thanksgiving? So for the ultimate in flavor and texture, set your sights on the Heritage breeds which are not as easy to find in your local supermarket. How does a turkey earn the organic label? The farm is inspected to make sure they are following all the rules set down by the NOP and the USDA organic standards. Farmers are not allowed to use genetic engineering, oinized radiation and use sewage sludge as fertilizer. Hmmm. Food for thought. What have we been eating? I know I’m not telling anyone anything new. With the exception of the newest cook, everyone had tackled at least one Thanksgiving turkey. We’ll let the chefs at Wegman’s explain the finer details of cooking your fresh turkeys. They also offer recipes for preparing everything for your holiday meal from the mashed potatoes to the gravy. Stuff the body cavity (which has already been seasoned to taste) with twigs of fresh rosemary, thyme and sage, slices of a medium sized onion, and approximately 4 or 5 fresh garlic coves. Then stuff the turkey with the traditional bread stuffing. While some of us at home prefer the stuffing cooked separately, every so often, we switch from “in the bird” to “in a casserole”. This relatively small turkey seemed lost once placed, breast side up, in a huge heirloom enameled roasting pan with removable inner pan. The pan is better suited for large birds weighing upwards of 16 to 20 pounds but it allowed us to add ingredients around the dressed turkey which would eventually become the basis of a rich, thick giblet gravy. Add light mashed potatoes flavored with parsley , a Southern Style Sweet Potato casserole, Brussels sprouts casserole or maybe the traditional green been casserole for a yummy holiday meal. Serve with a great chilled wine and you can easily forget the cranberry sauce. However, if cranberry sauce or relish is a must, be sure to check out our recipe for a family favorite – Molded Cranberry Relish. It is the perfect side dish for your Thanksgiving turkey. Another recipe for the perfect cranberry relish! 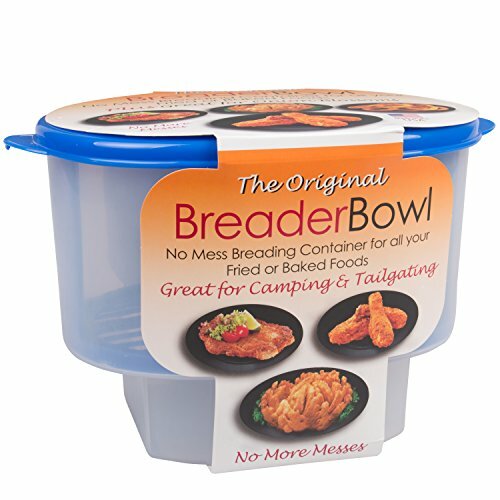 Would you rather host the Thanksgiving gathering than cook the entire meal? Check out this scrumptious and complete Thanksgiving dinner for 8 to 10 guests with everything from the roast turkey, side dishes to dessert! Bottom line? In the battle of fresh versus frozen turkey, it is our opinion that fresh turkeys are the best for Thanksgiving or Christmas dinner. Update: 11/24/2014 – We bought our turkeys today! Rather than go the way of a single large turkey, we decided to purchase two smaller ones. Each turkey is a little more than 12 pounds. Yes, we opted for a fresh bird again this year but instead of the organic free range kind which averaged about $65.00 a bird (that’s kind of scary), we decided on the Grand Champion variety. More white meat! At nearly $2.50 a pound it still adds up to a nice total but we figured it was like getting two turkeys for the price of one! We’re still picking fresh over frozen! 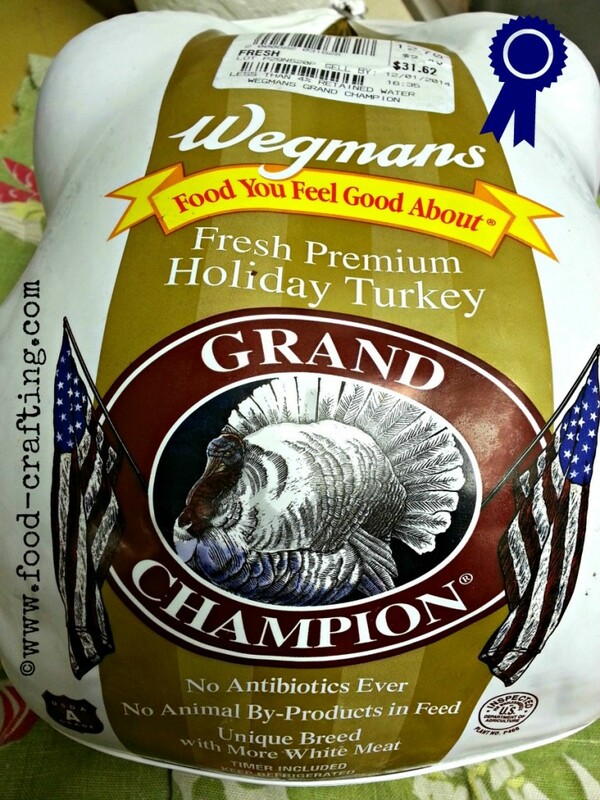 Run to Wegmans® if you don’t already have a turkey! Click on the links for additional information about where to buy a farm fresh turkey in our area, when to buy the fresh turkey and how to store them until Turkey Day. It’s decision time – will it be fresh versus frozen turkey? 1 Fresh Turkey Or A Frozen Bird? 2 Wondering about fresh versus frozen turkey for the holidays? 2.2 What constitutes free range?